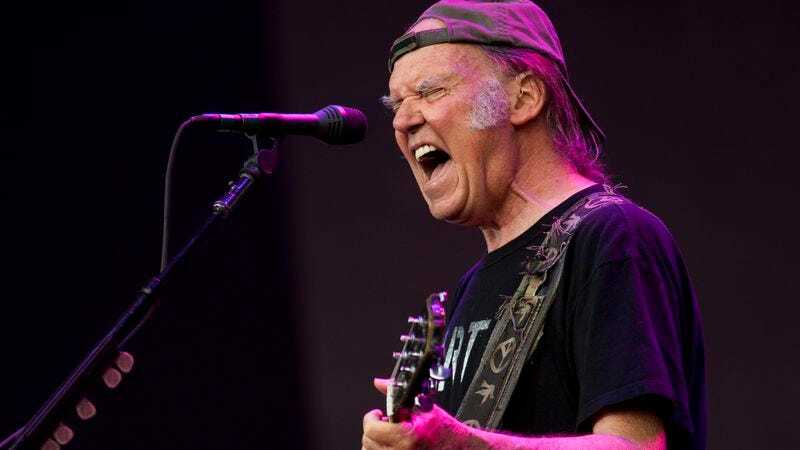 Neil Young may hate streaming services for his music, but he doesn’t hate people streaming into hockey rinks to hear him play those songs live. The Canadian rocker is going on tour to promote his new album, The Monsanto Years, with a short tour of the U.S. In keeping with the new album’s anti-big-agribusiness mentality, Pitchfork reports each concert will feature an area called “Neil’s Village,” which will promote regional organizations, advocates, and non-profits that presumably line up with Young’s own politics. Dates are listed below.